Microsoft has pioneered intelligent content services in Microsoft 365 to help our customers achieve more. And the industry has taken note. Today, we are honored that for the second year in a row Gartner has recognized Microsoft as a Leader in the Content Services Platforms Magic Quadrant for 2018. Once again, Microsoft placed highest in Ability to Execute. We couldn’t agree more. SharePoint is the content services platform for Microsoft 365, with capabilities for creating, sharing, protecting, and reusing information. SharePoint hosts digital content like pages, lists, videos, images, designs, 3D, medical scans, and markup as well as traditional Office documents. 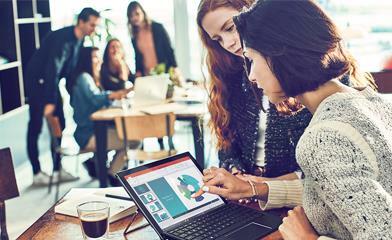 SharePoint embodies ease of use with ease of management—on any device, for any user, at any location. Importantly, SharePoint collects and extends content experiences to any application in Office 365—including Microsoft Teams and Outlook and, of course, third-party applications as well. These innovations—along with customers’ transition to the cloud and the growing imperative for secure content collaboration and sharing—are driving growth across Microsoft 365, SharePoint, and OneDrive. More than 350,000 organizations now have SharePoint and OneDrive in Microsoft 365, including 90 percent of the Fortune 500. Active users grew over 90 percent, and data stored in SharePoint grew over 250 percent in the last year alone. 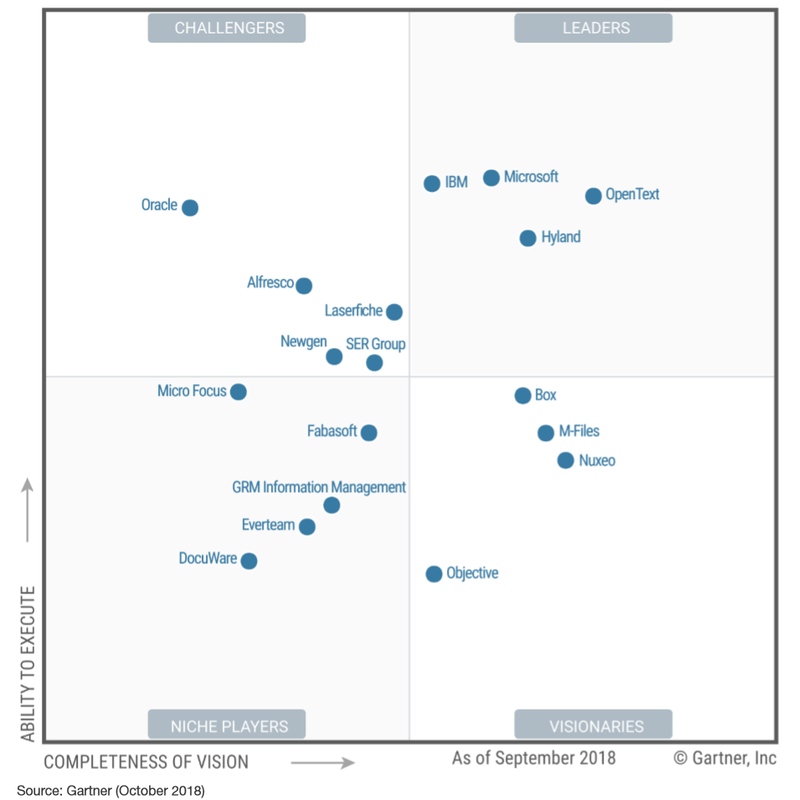 Additionally, Microsoft is the only company recognized as a leader in both the Content Collaboration Platforms and Content Services Platforms Magic Quadrant reports. We combine the power of artificial intelligence (AI) with content to help you be more productive, make more informed decisions, and keep more secure. This includes video and audio transcription, mobile capture to SharePoint using the top-rated OneDrive mobile app, as well as other features to make Microsoft 365 the smartest place to store your content. At Microsoft Ignite last month, we shared exciting Microsoft 365 innovations that build on this foundation. And our innovations are amplified by the depth and breadth of our community. This year, we welcomed a limited number of Microsoft Preferred Partners to our Content Services Partner Program. Each is recognized for proven customer success to modernize, embrace, and extend our content services platform. To learn more about how SharePoint can help you and your organization, visit our website and download our content services white paper. Finally, download your own complimentary copy of the Gartner Content Services Platforms Magic Quadrant.